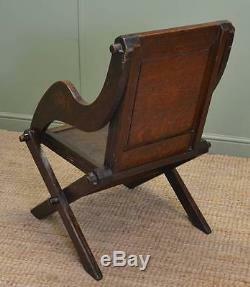 Victorian Arts And Crafts Solid Oak Antique Glastonbury Chair. 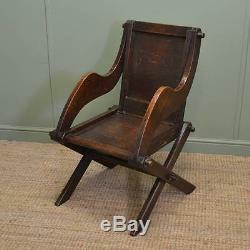 Dating from Around 1900 In the Victorian Period and Stylish in Design, This Unusual Glastonbury Chair has been constructed from quality solid oak. 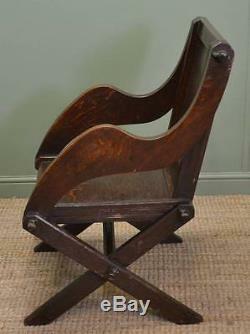 This charming piece has wonderful out swept curved arms and would fit perfectly in most homes. The oak has aged to a warm shade with a striking grain, good patina, is in very good condition and has been beautifully cleaned using a traditional form of wax finishing. Height:91cm / 36 inches. Width:64cm / 25 inches. Depth:56cm / 22 inches. Seat Height:41cm / 16 inches. 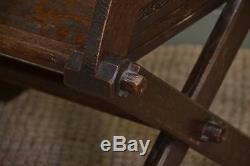 Items of this age and quality are becoming very rare to find, they are not just a beautiful piece of furniture but also a very good investment. Here at Driscolls Antiques we are well known for stocking a large selection of ever changing quality antique furniture competitively priced. As Members of LAPADA Driscolls Antiques Ltd are committed to upholding high standards of practice and the sale of good quality authentic antique furniture. We accept most major credit/debit cards, personal cheque, bankers draft or cash on collection. We do most of our own deliveries in the UK. This is an approximate price guide. Rest of the world quote upon request. 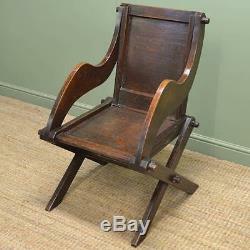 The item "Victorian Arts And Crafts Solid Oak Antique Glastonbury Chair" is in sale since Friday, July 07, 2017. 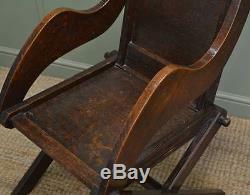 This item is in the category "Antiques\Antique Furniture\Chairs\Victorian (1837-1901)".driscoll1" and is located in Clitheroe. This item can be shipped to United Kingdom.